Welcome to our world. Welcome to our world.Â Welcome to our world of toys. Welcome to our world. Welcome to our world. Welcome to our world of toys! That was the jingle that looped at the FAO Schwarz toy store in downtown Chicago when my mother took me there in July of 1993. I was 9 years old. My Great Aunt Kate and I had come to visit my parents in Chicago for a few weeks. For eight years I had been living in Cameroon (Central Africa) with â€œGrandmaâ€ Kate, my fatherâ€™s aunt. I was born in Chicago to a Cameroonian father and an African-American mother. They had met while my father was visiting his older brother in Chicago. When I was a year old, my young parents sent me to live with Grandma Kate while they finished school. What was to be a short stay in Cameroon had lasted almost a decade. Now I was back in Chicago for the first time since I left. As a child whose impression of America had been colored by Rambo films and Michael Jackson tunes, FAO Schwarz was the most magical place I had ever been. Every immigrant has that moment when they realize that they have set foot in a country in which anything is possible. Standing amidst singing bears and drum tapping nutcrackers in that swanky toy store was mine. â€œI could get used to this. Itâ€™s too bad I have to leave in a couple of weeks,â€ I remember thinking. I never left. A week or two before Grandma Kate and I were scheduled to head back to Cameroon, my mother decided that she did not want to let me go a second time. She wanted me in Chicago. 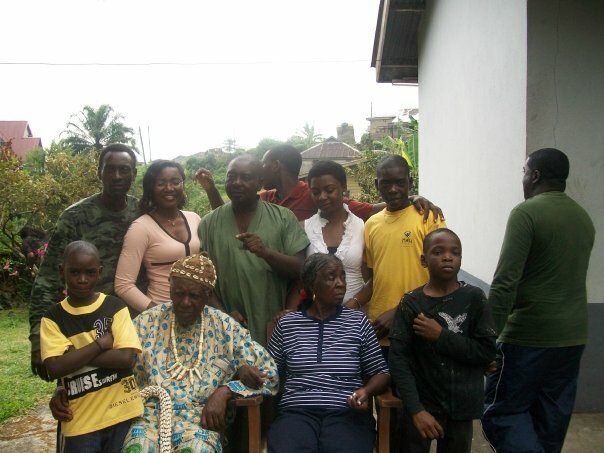 A sort of informal custody battle followed – my father and his relatives on one side, insisting that I return to Cameroon to live with Grandma Kate, and on the other side, my mother, who had made up her mind that I belonged with her. As our departure date approached, I was asked to decide. Leave for Cameroon with Grandma Kate or stay with my parents in Chicago. I chose Chicago. Every immigrant remembers the not so romantic moment when they realized that it would be ages before they set foot in their home country again. Mine was at the end of that July, when my parents and I went to see Grandma Kate off at the airport. As she passed through the gates to get on a plane which I was also supposed to be boarding, she turned back and gave a final wave. At that moment, the permanence of my decision to stay in America set in. As she disappeared from our sight, I sobbed quietly. I had sold out Cameroon for those insidious, dancing toys at FAO Schwarz. In the years that followed, FAO Schwarz closed. Since then I have had some experiences in America that come close to the magic I witnessed in the toy store that day, but I have had some not so magical experiences as well.